Stefan sent me a link to this fantastic video of the Jetsons Lambretta Club & Friends, at the 70th Anniversary Lambretta Rally in Monza last year… great stuff! This Series 2 is just about the opposite of the immaculate TV175 I featured yesterday …but the beauty of Lambretteas is, I like this one just as much! It’s taken it’s rider, Roger, who goes under the twitter handle @redscootdog, a good few miles… including Spain, France, Holland, Germany and Belgium… and he’s heading out to Switzerland on it this year. Even in this pic, he’s off on a ferry somewhere. He’s been wet, tired, had back ache and a sore arse from putting all those miles in… but enjoyed every minute of it… Because he’s riding the worlds finest motor scooter. You really wont believe this. 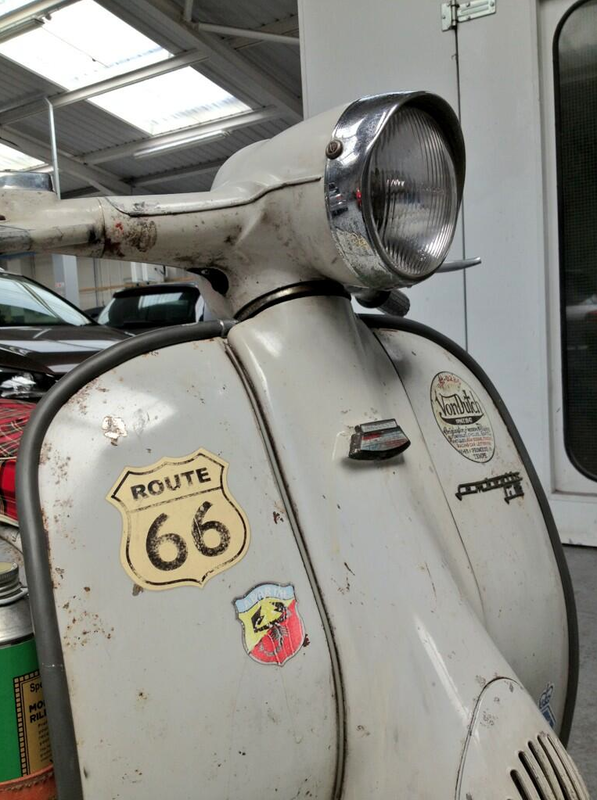 Look what turned up at EuroLambretta in Avignon. 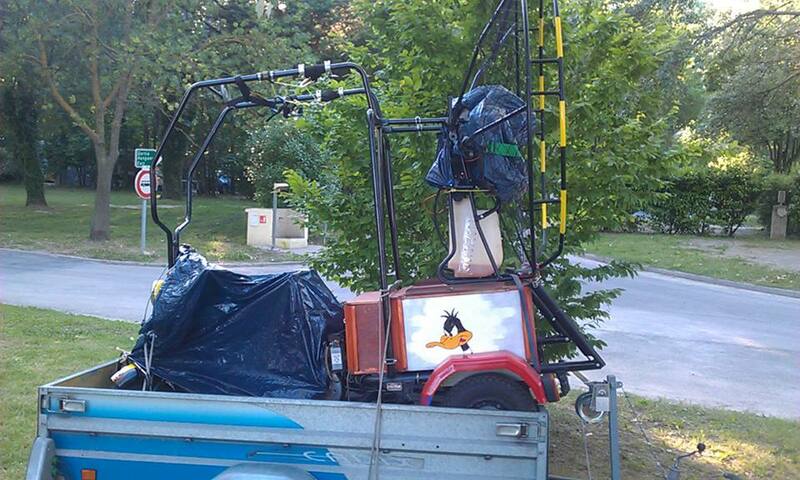 I’ve seen it all now. I’m not going to comment much on this, and the guys at Lambretta Club de France are going to post a full picture set soon… so just sit back, check out these few images and have your mind blown. 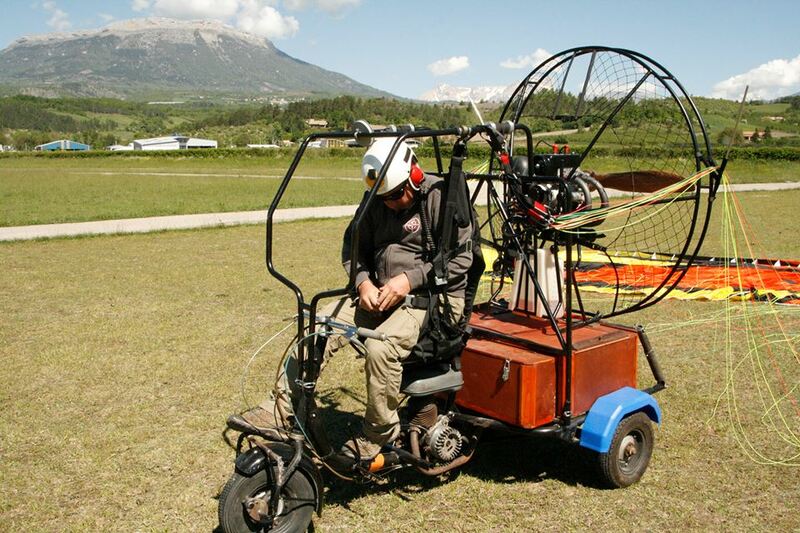 I think the technical term is Paramotor. 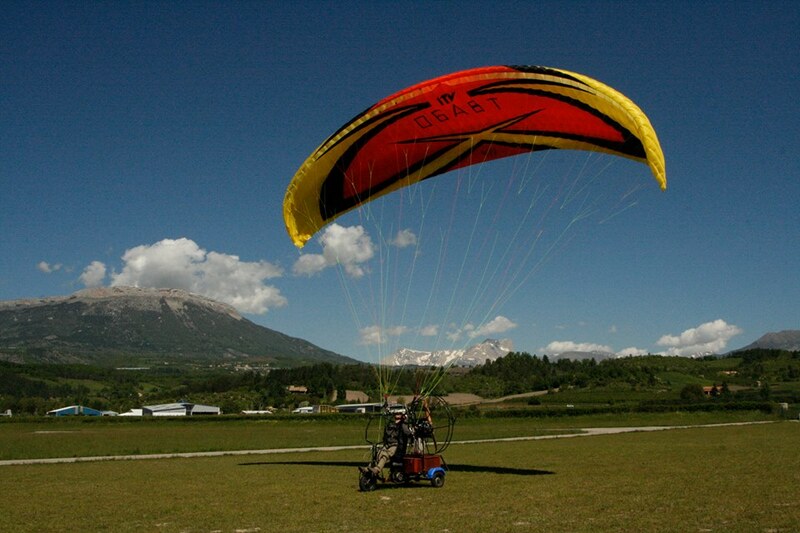 Powered paragliding (PPG). 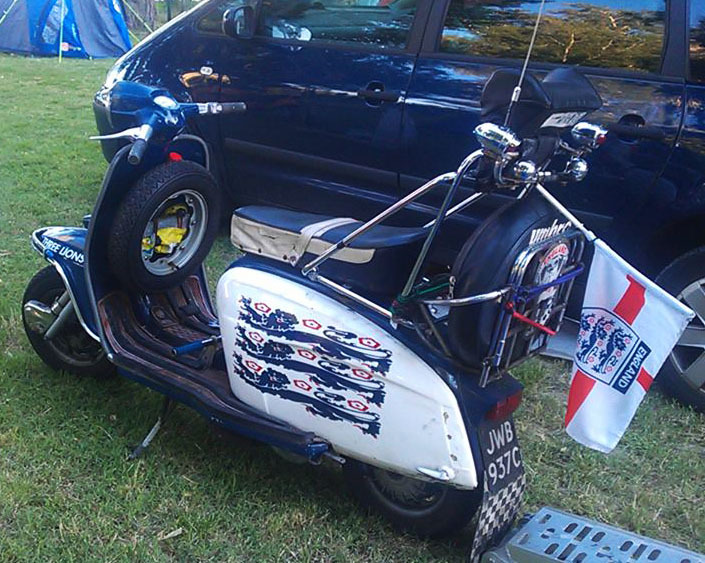 Powered by an open framed Lambretta. My gob is smacked. My ghast is flabbered. Amazing. 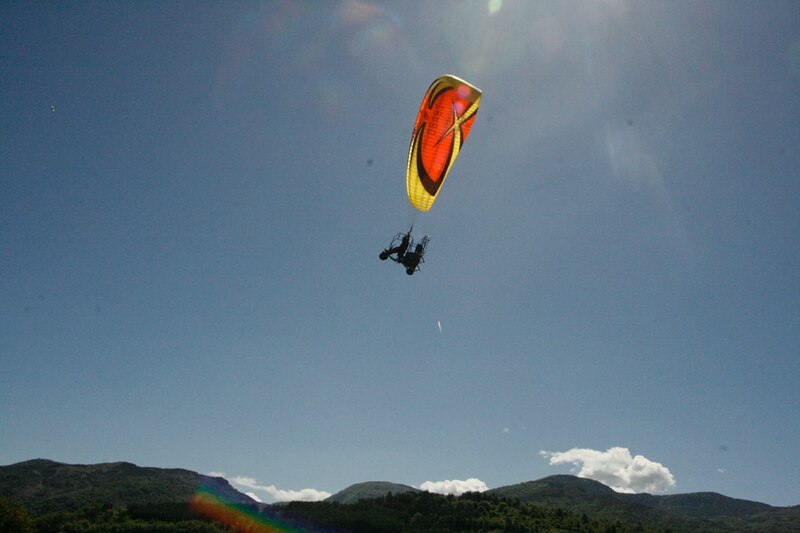 I want a go… I think!